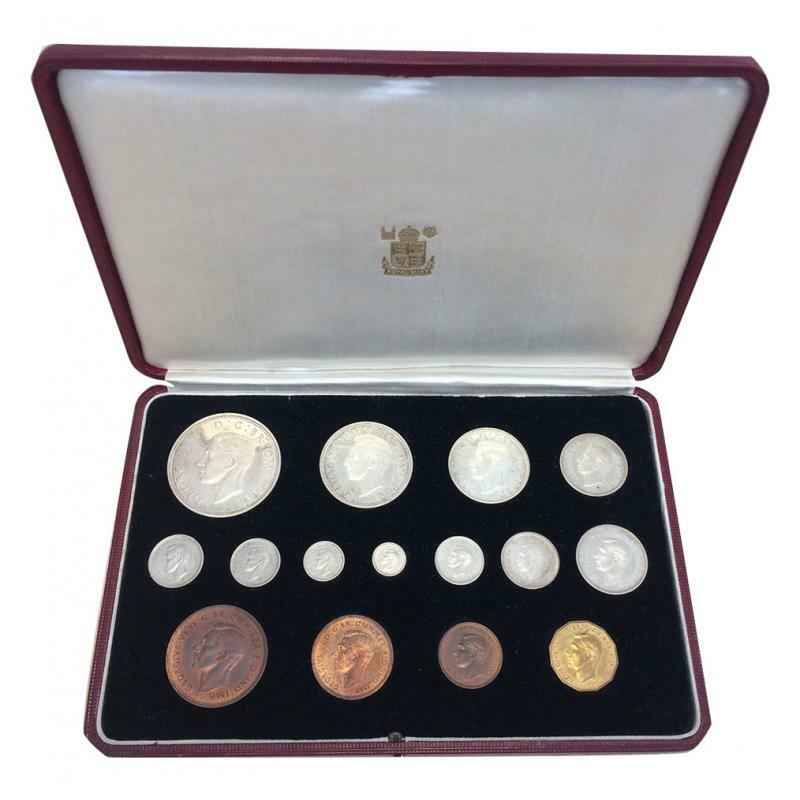 A complete set for coin collectors, this 15-piece 1937 George VI Set was produced by the Royal Mint and includes the Crown down to the Maundy penny, Nickel-brass threepence, Bronze penny, half penny and Farthing. 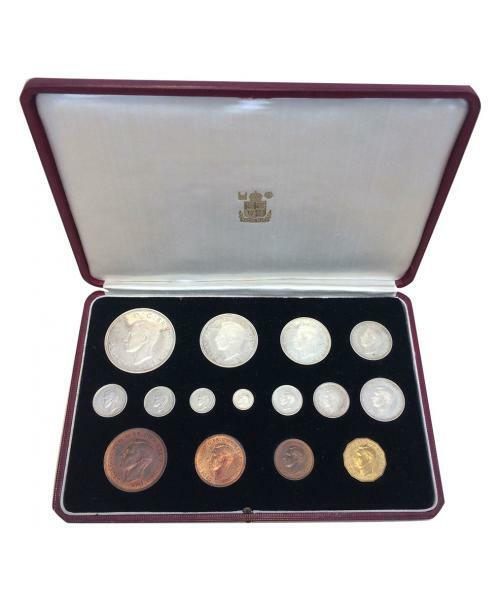 Displayed in it original presentation box , this selection of rare modern British coins dated 1937 are popular with private collectors, making it a wise investment for collectible coin interests. Still in original Royal Mint box, as struck.